It comes with a matching translucent DualShock4 controller and PlayStation Camera. Sony revealed that it has sold over 525 million PlayStation systems worldwide since the console first launched 24 years ago, and that it's doing something special to commemorate it. 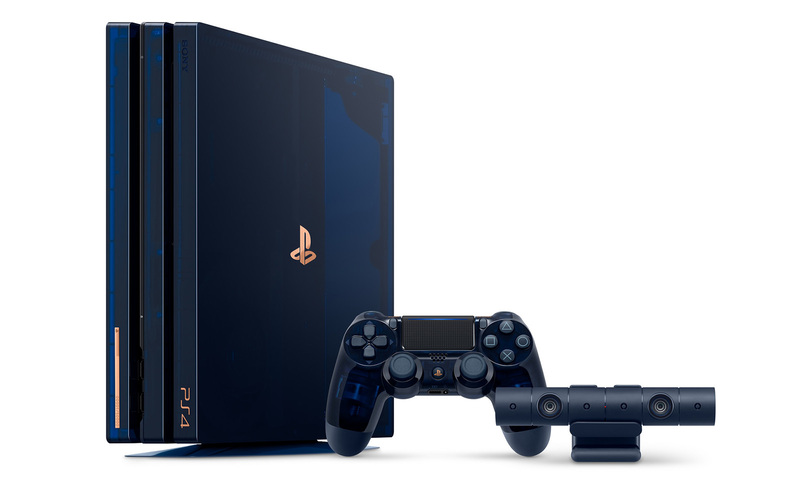 It unveiled the "500 Million Limited Edition PS4 Pro" with a dark blue translucent shell, complete with a matching DualShock 4 controller, PlayStation Camera, vertical stand and mono headset. When it launched the original PlayStation in 1994 (1995 in the US), Sony may not have imagined that it would sell over half a billion in under a quarter century. Launched in 2013 in the US, the PlayStation 4 alone has sold 73.6 million as of the end of 2017. It's easy to forget, though, that Sony was struggling prior to its release, and the console has been a key part of Sony's successful turnaround initiated by former CEO, Kaz Hirai. Other nice cosmetic touches include a matching translucent box, blue velvet bag and etched copper plate with the serial number of the console. It's the first PS4 Pro to come with a 2TB hard drive, and Sony is also offering a matching gold wireless headset as an extra for $100. You can also purchase the 500 Million Limited Edition DualShock 4 separately for $65. Sony said that certain "extra special" units will also pop up for lucky buyers with serial numbers like 09995 (the US launch date of the first PlayStation) and 01013, representing the October 13, 2016 US release date of the PS VR. Just 50,000 units of the 500 Million LImited Edition PS4 Pro will be sold worldwide, and it'll be available for $500 at retailers starting on August 24th. The only sad part is that collectors will probably keep a lot of these units in their boxes, and they're too pretty not to play.